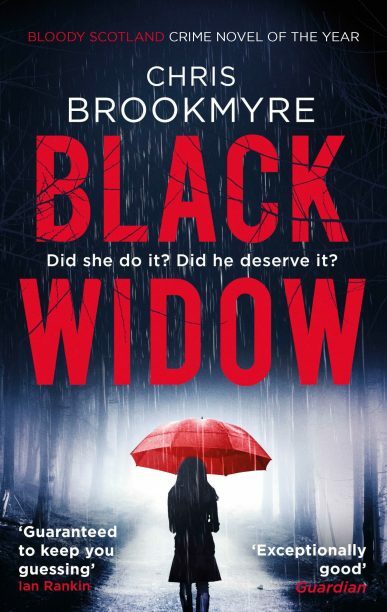 Chris Brookmyre’s story of ‘cyber-abuse, sexism and murder’, Black Widow (Little, Brown), has won the 2017 Theakston Old Peculier Crime Novel of the Year Award, reports the Guardian. Brookmyre’s novel was chosen from a shortlist that also included Eva Dolan’s After You Die (Random House), Sabine Durrant’s Lie with Me (Hodder & Stoughton), Mick Herron’s Real Tigers (John Murray), Val McDermid’s Out of Bounds (Little, Brown) and Susie Steiner’s Missing, Presumed (HarperCollins). Judge Elly Griffiths described the winning novel as a ‘tour de force’. ‘It keeps us guessing not just who did it, but why they did it, and cements Chris’s place in the pantheon of great crime writers,’ she said. The award was announced at the opening night of the Theakston Old Peculier Crime Writing Festival. Lee Child was also presented with an Outstanding Contribution to Crime Fiction Award.